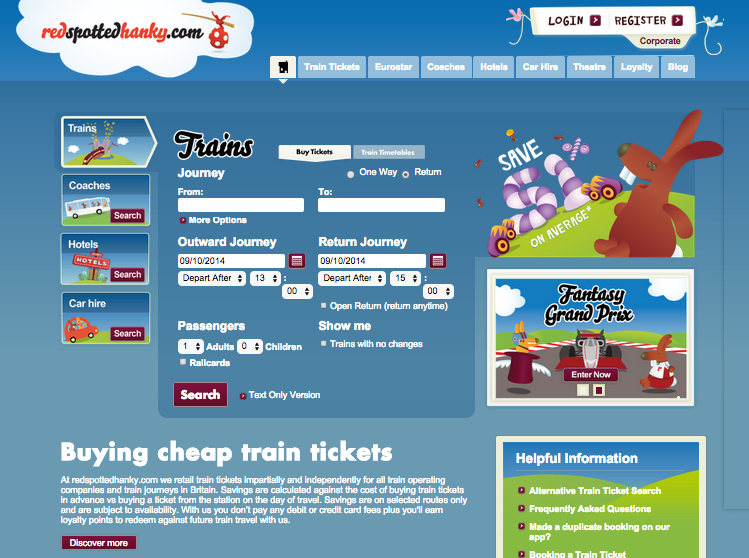 Redspottedhanky.com is a nice online train retailer helping you find cheap train tickets for traveling in the UK. There is no booking, card or standard delivery fees and the best part is that they promise to find you the cheapest train fare and if not, they will refund you the difference in loyalty points. We had a look at several review websites and there are bad reviews on the internet regarding Redspottedhanky.com ‘s customer service. Loyalty points expire at the end of every calendar year, so make sure to start accumulating them early each year to get the most out of them! Redspottedhanky, while having some good features and ideas which set it apart from its major competitors, is let down by bad customer service and poor website functionality. While it does have some unique features, they aren’t enough to make it stand out in a great way, and for those looking for train tickets in London, there are definitely better alternatives.